After a disappointing end to the 2018 World Cup, where Gareth Southgate's hearty Three Lions side bailed out in the semi-finals, the broken-hearted nation have had time to heal, with focus now turning to next year's European Championships. Tonight, the qualifying process commences, as Wembley plays host to the Czech Republic for Group A's curtain raiser. This evening's result is pivotal for Southgate's men as they look to make a statement in a group lacking any real quality, with Jaroslav Šilhavý's men undoubtedly the strongest side England will face throughout qualifying. Kosovo, Montenegro and Bulgaria shouldn't prove too much of a challenge, and while it is perhaps foolish to appear over confident, with the quality the Three Lions possess at the moment you wouldn't expect anything less than a first-place finish come November when the qualifying process comes to an end. England travel to Montenegro on Monday for their second qualifying match, so a win this evening would do their confidence levels the world of good. With three consecutive wins heading into tonight's fixture, momentum is firmly behind the hosts. However, the visitors also find themselves in a rich vein of form having won their last two against Slovakia and Poland - they've also not conceded a single goal since October, highlighting just how strong they've been defensively recently. With Harry Kane now firing on all cylinders after returning from injury, scoring three goals in his last three matches for Tottenham, England should have too much for the Czech's in this one. Kane is back to his best after an ankle injury sidelined him for two months, scoring three in three for Spurs. Though next summer's European Championships take obvious priority, the upcoming Nations League semi-finals in June are at the forefront of everybody's mind at the moment. England will battle it out with Ronald Koeman's Netherlands for a spot in June's grand finale against either Portugal or Switzerland - the two sides competing in the other semi-final - with the Three Lions currently second-favourites to go the distance at odds of 2/1 (UniBet). After a huge lull in performance, the Netherlands now look as though they're back to their best under the guidance of former Southampton and Everton boss Koeman. Having failed to reach the World Cup last year, the Dutchmen have now lost just one of their previous ten games, with impressive victories against Germany (3-0) and France (2-0) indicating that they are once again a force to be reckoned with. A 4-0 victory against Belarus in the Netherlands' opening Euro 2020 qualifier last night stands them in good stead for their clash against Germany on Sunday - the final match before June's showdown with England. It took just a minute for Memphis Depay to open the scoring for Holland, before Liverpool's Georginio Wijnaldum made it two just 20 minutes later. Depay's second of the evening came in the form of a penalty just ten minutes after the break, with man of the moment Virgil van Dijk once again getting on the scoresheet late on to make it four. This was another bullish performance from the Netherlands, they dominated possession (60% to Belarus' 40%) and kept their third clean sheet in five outings. Their biggest test will come on Sunday against the Germans, but with Joachim Löw's side massively underperforming since their disastrous exit from the World Cup, they'll head into the game as strong favourites, especially considering they comfortably defeated the Nationalelf 3-0 in October. This means that two wins for England this week are a must if they're to remain in pole position to beat the Netherlands in June. It has to be a statement from the Three Lions, though, and not just two limp, narrow victory's that will simply 'do the job'. England have to be fearless and emphatic in front of goal and put in two performances that send a message to Holland, a message that states they're heading to Portugal to win the Nations League in June, not just to make up the numbers. The Netherlands recorded a resounding victory last night, placing the emphasis firmly on England. SANCHO, WARD-PROWSE, RICE TO BE HANDED STARTS? 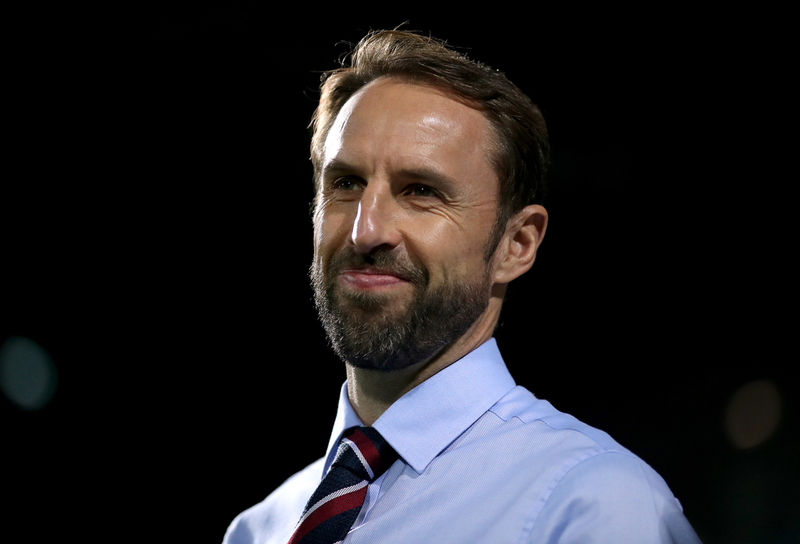 Gareth Southgate has called up in-form Southampton midfielder James Ward-Prowse to his senior squad after the injuries to Fabian Delph and Ruben Loftus-Cheek. After three goals in his last three games for the struggling Saints - including two stunning free-kicks against Manchester United and Tottenham - the 31-capped England U21 international gives Southgate a really exciting option in the middle of the park, with his strength from dead ball situations needing little explanation. It's unlikely that we'll see the 24-year-old start this evening's clash, with the returning Dele Alli, Jordan Henderson, Eric Dier, Ross Barkley and West Ham starlet Declan Rice all available to Southgate in central midfield. He will however be ready when called upon from the sidelines and with his recent form considered, could be a real asset to this fresh looking England side, especially if they're awarded a late free-kick on the edge of the penalty area. 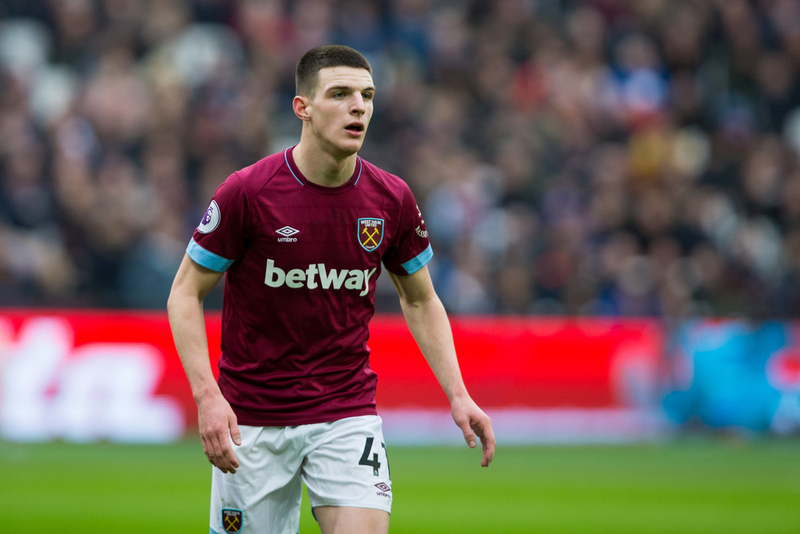 As previously mentioned, West Ham's Declan Rice is also expected to feature in some capacity tonight after his switch from the Republic of Ireland. Rice has been one of the Premier League's standout performers this season and can operate in both the midfield and defence, so will give Gareth Southgate a welcoming selection headache tonight. Rice has bagged two goals for the Hammers this term and has looked such a threat going forward for his club - will we see him make a name for himself on his England debut? Borussia Dortmund's Jadon Sancho is also in line to make his first senior start of England this evening, with mounting concerns over the fitness of Manchester United forward Marcus Rashford. The 18-year-old made his debut for the Three Lions in October when he was introduced as a late substitute in the 0-0 draw against Croatia. Sancho has looked dangerous when called upon for England and will certainly relish the opportunity to prove himself from the outset tonight if handed the chance. West Ham midfielder Declan Rice could be handed his England debut this evening.